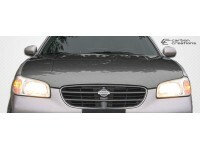 2000-2003 Nissan Maxima Carbon Creations OEM Hood - 1 Piece(Note: we recommend the use of hood pins with all hoods)Carbon Creations products are made from the highest quality Grade A carbon fiber available. Each item is made with 100% hand-laid grade A carbon and is protected with a UV coating that will allow the finished product to remain shiny for years to come. 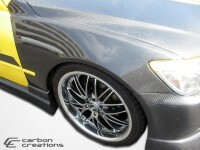 Carbon Creations products are known for their high quality, great fitment, lightweight, and show quality finish. 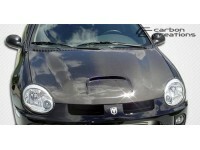 Additionally, this is one of the few parts we can offer a manufacturer&apos;s one year warranty for defects in the manu..
2000-2005 Dodge Neon Carbon Creations SRT Look Hood - 1 Piece(Note: we recommend the use of hood pins with all hoods)Carbon Creations products are made from the highest quality Grade A carbon fiber available. Each item is made with 100% hand-laid grade A carbon and is protected with a UV coating that will allow the finished product to remain shiny for years to come. 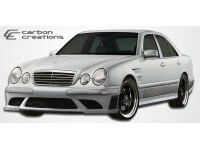 Carbon Creations products are known for their high quality, great fitment, lightweight, and show quality finish. 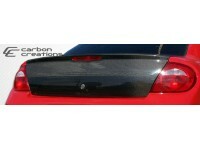 Additionally, this is one of the few parts we can offer a manufacturer's one year warranty for defects in the manufac..
2000-2005 Dodge Neon Carbon Creations OEM Trunk - 1 Piece(Note: some trunks/hatches may have springs or shocks that must be removed for proper fitment. 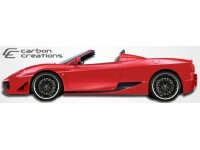 )Carbon Creations products are made from the highest quality Grade A carbon fiber available. Each item is made with 100% hand-laid grade A carbon and is protected with a UV coating that will allow the finished product to remain shiny for years to come. 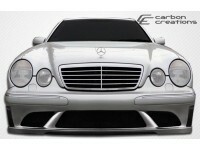 Carbon Creations products are known for their high quality, great fitment, lightweight, and show quality finish. 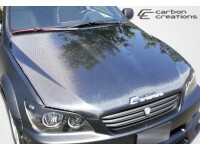 Additionally, this is one of the few parts we can offer a manufacturer's one year ..
2000-2005 Lexus IS Series IS300 Carbon Creations OEM Hood - 1 Piece(Note: we recommend the use of hood pins with all hoods)Carbon Creations products are made from the highest quality Grade A carbon fiber available. Each item is made with 100% hand-laid grade A carbon and is protected with a UV coating that will allow the finished product to remain shiny for years to come. 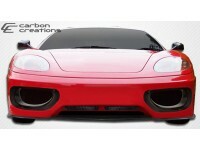 Carbon Creations products are known for their high quality, great fitment, lightweight, and show quality finish. 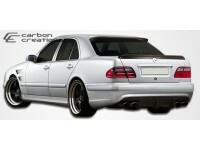 Additionally, this is one of the few parts we can offer a manufacturer's one year warranty for defects in the m..
2000-2005 Lexus IS Series IS300 4DR Carbon Creations OEM Trunk - 1 Piece(Note: some trunks/hatches may have springs or shocks that must be removed for proper fitment. 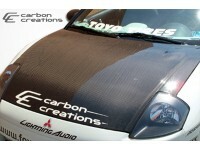 )Carbon Creations products are made from the highest quality Grade A carbon fiber available. Each item is made with 100% hand-laid grade A carbon and is protected with a UV coating that will allow the finished product to remain shiny for years to come. 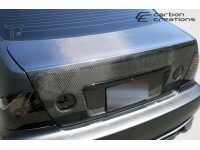 Carbon Creations products are known for their high quality, great fitment, lightweight, and show quality finish. 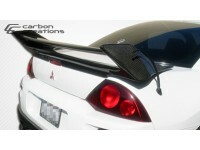 Additionally, this is one of the few parts we can offer a manufactu..
2000-2005 Mitsubishi Eclipse Carbon Creations OEM Hood - 1 Piece(Note: we recommend the use of hood pins with all hoods)Carbon Creations products are made from the highest quality Grade A carbon fiber available. Each item is made with 100% hand-laid grade A carbon and is protected with a UV coating that will allow the finished product to remain shiny for years to come. 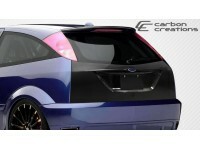 Carbon Creations products are known for their high quality, great fitment, lightweight, and show quality finish. 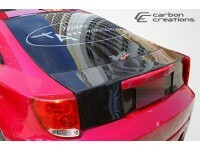 Additionally, this is one of the few parts we can offer a manufacturer's one year warranty for defects in the manu..
2000-2005 Toyota Celica Carbon Creations OEM Trunk - 1 Piece(Note: some trunks/hatches may have springs or shocks that must be removed for proper fitment. 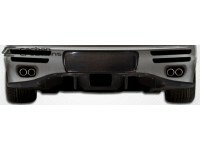 most hatches require removal of the oem glass. 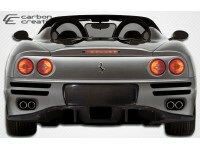 )Carbon Creations products are made from the highest quality Grade A carbon fiber available. Each item is made with 100% hand-laid grade A carbon and is protected with a UV coating that will allow the finished product to remain shiny for years to come. 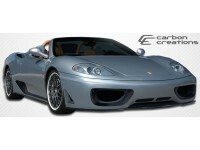 Carbon Creations products are known for their high quality, great fitment, lightweight, and show quality finish. 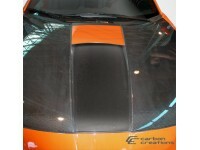 Additionally, this is one of the..
2000-2005 Toyota Celica Carbon Creations OEM Hood - 1 Piece(Note: we recommend the use of hood pins with all hoods)Carbon Creations products are made from the highest quality Grade A carbon fiber available. 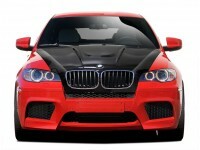 Each item is made with 100% hand-laid grade A carbon and is protected with a UV coating that will allow the finished product to remain shiny for years to come. 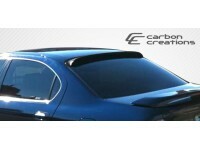 Carbon Creations products are known for their high quality, great fitment, lightweight, and show quality finish. 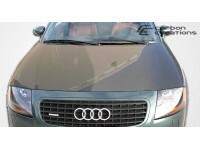 Additionally, this is one of the few parts we can offer a manufacturer's one year warranty for defects in the manufactu..
2000-2006 Audi TT Carbon Creations OEM Hood - 1 Piece(Note: we recommend the use of hood pins with all hoods)Carbon Creations products are made from the highest quality Grade A carbon fiber available. Each item is made with 100% hand-laid grade A carbon and is protected with a UV coating that will allow the finished product to remain shiny for years to come. 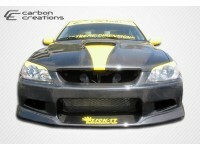 Carbon Creations products are known for their high quality, great fitment, lightweight, and show quality finish. Additionally, this is one of the few parts we can offer a manufacturer's one year warranty for defects in the manufacturing p..